In Signs > Porcelain Signs > Show & Tell and Signs > Travel and Highway Signs > Show & Tell. I also love transportation signs and these all original Bus signs fall into that category....i also collect Train, Plane, Boat, Trucks, Automobile, Motorcycle, etc, etc, etc. 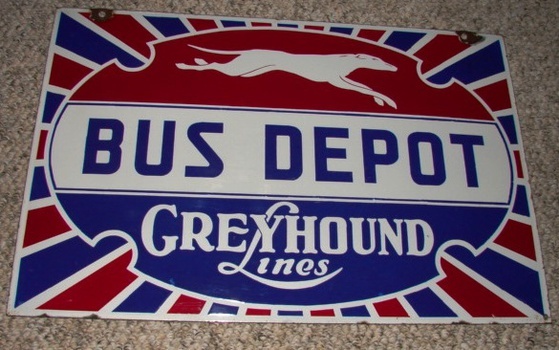 Very nice collection of signs, they all seem to be in great shape as well! 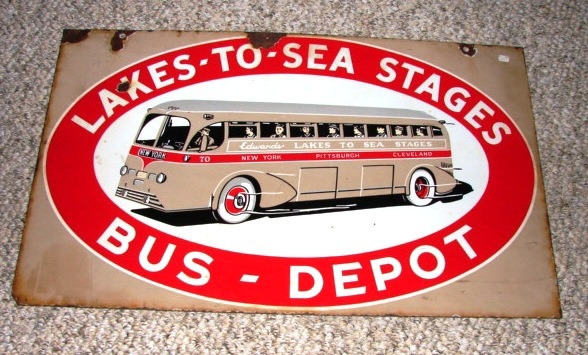 I love the old bus signs but don't see too many for sale..